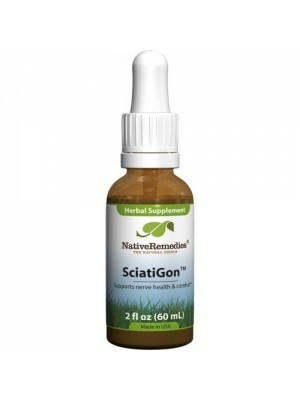 SciatiGon Sciatica pain, anti-inflammatory , eliminate fluid retention and cellulite. Adults & Children age 10+ can take 5 drops every 30 minutes as needed. You can dilute drops in a small amount of water, milk or juice. For long use and ongoing support it is recommended to take 10-15 drops 3 times daily. For better results dosage may be increased when necessary to 5 drops every 30 minutes as needed. Important: Do not exceed 10 doses in 12 hours. Units per order: One 60ml bottle. SciatiGon can be used with relevance to address health-related problems. Besides the analgesic effect, SciatiGon can have several other active principles, including: antirheumatic, diaphoretic, anti-inflammatory, circulatory stimulant, antibacterial and perspiration stimulant. Thus, some of SciatiGon-S ingredients were eventually used to stimulate blood flow and eliminate the malefic waste from body, relieving rheumatic symptoms resulting from muscle strain or poor circulation. According to medical prescription it may still be combined with anti-inflammatory or anti-rheumatic drugs, which will accelerate recovery. Treating gastric problems: SciatiGon can be used in cases of gastritis or even stomach pain without a specific cause. It relieves gastric mucosa irritation because it has a good soothing and anti-inflammatory properties. In addition, as it also has colagnetic and choleretic action, it stimulates the functioning of the gallbladder, which facilitates digestion. Eliminate fluid retention and cellulite: Because of its excellent diuretic and depurative properties SciatiGon eliminate fluid in excess through the urine, and can also help fight cellulite, especially if it is associated with a balanced diet and regular exercise. It can help to avoid kidney cramps: SciatiGon can even be used to relieve mild kidney cramps or even prevent them from appearing. Because of its diuretic action, it may be able to eliminate small kidney stones that cause the onset of pain. SciatiGon can treat acne, boils, abscesses, eczema, dandruff, diabetes, rheumatism, gout, bronchitis or nephropathy, for example. Osteoarthritis: SciatiGon can help to reduce pain and improves physical functioning in people with osteoarthritis. It can also help to treat arthritis reducing joint pain being effective for arthritis in the spine , hip and knee. You can decrease the doses of drugs used to reduce pain, although it is important you talk to your doctor before. Back and neck pain: Taking SciatiGon seems to be able to decrease back pain and have anti-inflammatory effects. 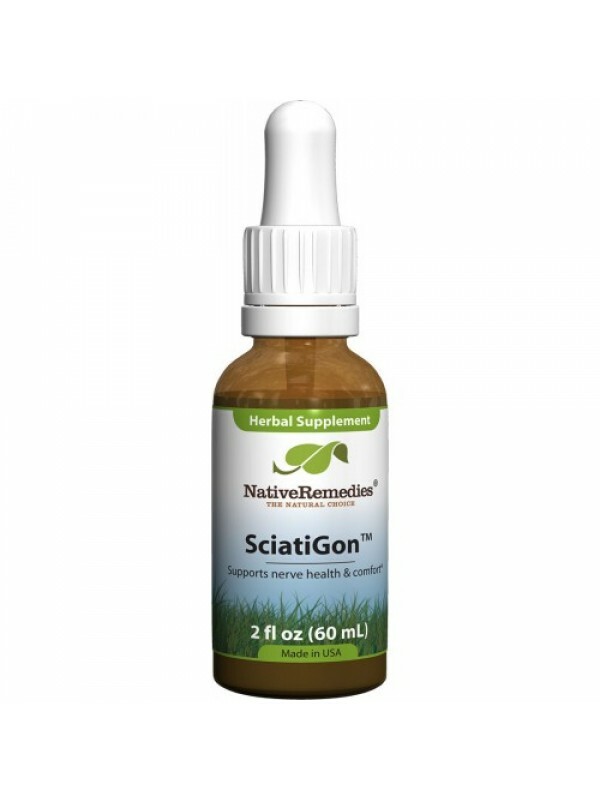 SciatiGon is recommended to treat stomach irritation, loss of appetite, high cholesterol, gout, muscle aches, migraines, headaches, allergy and fever. Topical preparations can be used on the skin to heal wounds, ulcers, blisters and lesions. SciatiGon can also have effects on controlling diabetes by lowering blood sugar levels. However, its uses are not proven. SciatiGon side effects can include increased urinary frequency, stimulation of uterine contractions, and increased blood sugar levels in diabetic patients. Allergic reactions, although rare, may occur. If the symptoms of the allergic reaction are serious and include difficulty in breathing, throat closure, swelling of the lips, tongue or face and tingling, seek medical attention immediately and discontinue use. Other less serious side effects include headache, ringing in the ears, nausea, vomiting, abdominal pain, loss of appetite, loss of taste, stomach irritation and a feeling of satiety. SciatiGon is contraindicated for pregnant women, children, and patients with diarrhea. People with stomach ulcers, ulcers in the duodenum, or stone in the gallbladder should not take the SciatiGon. People with heart disease or hypertension should ask their doctors before they start taking it. Medications that are metabolized by the liver may have a slower absorption during the use of the SciatiGon, and taking it with some of these medications can increase its side effects in the body. SciatiGon can cause blood sugar levels to fall, and in the case of using drugs that lower blood sugar levels, there may be a very large drop, therefore, physician close monitoring and blood sugar monitoring during treatment with SciatiGon is necessary. Prickly Ash: Is a plant of the Rutaceae family. Depending on the place where it is found, it may also be known by Hercules ‘clave or hawthorn from the south. The plant is also known as a famous herbal remedy in North America because its action is linked to combating toothache, among other problems. Identified as a thorny and aromatic tree, the prickly ash can reach up to 17 meters in height. However, most of the species found do not reach this point at all. Its stem is prickly, while the leaves are glabrous and coriaceous. The prickly ash flowers are small and white in color. Its fruits are capsule shaped and carry several black seeds. It began to be used to combat toothaches because it can cause mouth numbness, teeth and tongue. Its consumption was made directly, where people chewed it to enjoy the medicinal benefits. Chamomile is a plant of the family ASTERACEAE and is one of the most used herbs in the world. In Germanic and Nordic mythology, it is one of the nine sacred plants that the God of heaven, Odin, gave to humans. Its botanical name, Matricaria recutita, comes from the Latin MATRI and means "mother", because it was mainly used to treat what was called "women diseases ". It is known for its small white flowers resembling daisies. Its main characteristic is its intense and sweet aroma, capable of perfuming large environments. Native to Europe and Asia, it adapts to all temperate countries. It is important not to confuse German Chamomile with Roman Chamomile because its essential oils have different therapeutic properties. German Chamomile is also referred to as Blue Chamomile, because of the presence of the substance camazulene, which makes its essential oil blue. In general, 1 ton of dried German Camomile flowers is needed to obtain 1 liter of essential oil. Can you imagine how many flowers are needed? This essential oil is extremely powerful for inflammation, allergies, itching and for female disorders such as menopause and irregular menstruation. Burdock is a medicinal plant, also known as Pea Herb, Pegasus or Giant's Ear, widely used in the treatment of dermatological problems such as acne or eczema, for example. Its scientific name is Arctium lappa. Harpagophytum procumbens, known as the devil's claw, is a native plant in Africa that is named after its fruit, which is covered with hooks that cling to animals to spread the seeds. Its roots are used to make a medicine, used for atherosclerosis, arthritis, gout, muscle pain, back pain, tendonitis, chest pains, gastrointestinal irritation or burning, fever and migraine. It is also used for birth difficulties, menstrual problems, allergic reactions, loss of appetite, and kidney and bladder disease. It can be applied to the skin to treat injuries and skin problems. Nowadays, the devil's claw is used against inflammation and to relieve the pain of arthritis, headaches and back pain. Tests indicate that the devil's claw can help fight inflammation, and it is widely used in Germany and France.